Social media, content, and commerce sites continually experiment on their users to improve products and services. 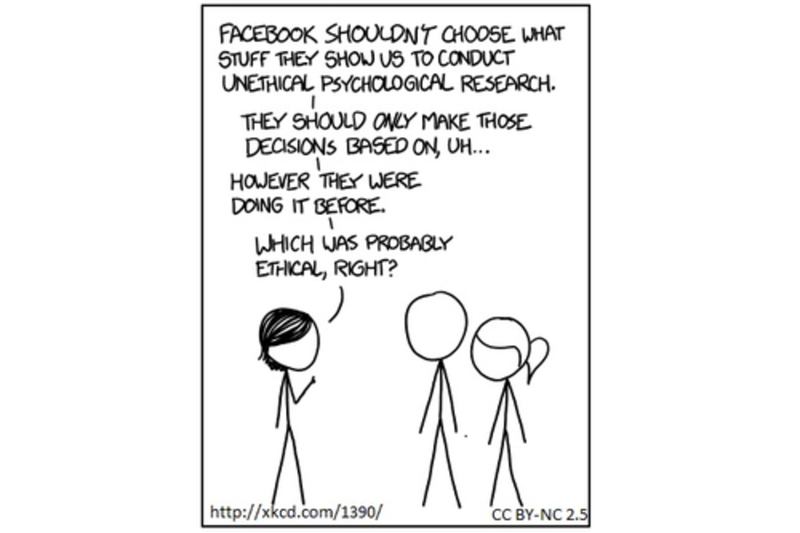 Yet occasionally these experiments backfire as seen in the Facebook emotional contagion study (2014) or Amazon’s alleged price discrimination experiments. This panel brings together experts from academia and industry to reflect on the lessons learned from both quiet successes and dramatic failures to offer you practical advice on how to design and conduct online experiments to improve your sites without upsetting your customers or gaining unwanted negative publicity. Watts' research on social networks and collective dynamics has appeared in a wide range of journals, from Nature, Science, and Physical Review Letters to the American Journal of Sociology and Harvard Business Review, and has been recognized by the 2009 German Physical Society Young Scientist Award for Socio and Econophysics, the 2013 Lagrange-CRT Foundation Prize for Complexity Science, and the 2014 Everett Rogers Prize. Elizabeth Churchill is a Director of User Experience at Google focusing on the design and development of devices and developer tools for the connected ecosystems of the Social Web and Internet of Things. After leaving academia in 1997, Elizabeth has been a principal contributor and leader for research at well known corporate research and development organizations including eBay Research Labs in San Jose, Yahoo! in Santa Clara, California and for Xerox at PARC and FXPAL, Fuji Xerox’s Research lab in Silicon Valley. Elizabeth's work has been successful across the research field, including over 100 publications in the fields of theoretical and applied psychology, cognitive science, human-computer interaction, mobile and ubiquitous computing, computer mediated communication and social media. Elizabeth has more than 50 patents granted or pending and has co-edited books on conversational agents, virtual environments, public and situated displays, and agent supported cooperative work. She was an author for the recent academic text, Foundations for Designing User Centered Systems, and her upcoming work includes Designing with Data, to be published by O'Reilly in 2016. She has been a regular columnist for ACM's interactions magazine. Elizabeth is a member of the CHI Academy, an ACM Distinguished Scientist and Speaker, and served on the Executive Committee of the ACM's Special Interest Group on Computer-Human Interaction for 8 years–2 years as Vice President for Chapters and 6 years as Executive Vice President. Jeff Hancock is a Professor in the Department of Communication at Stanford University. Professor Hancock works on understanding psychological and interpersonal processes in social media. He specializes in using computational linguistics and experiments to understand how the words we use can reveal psychological and social dynamics, such as deception and trust, emotional dynamics, intimacy and relationships, and social support. Recently Professor Hancock has begun work on understanding the mental models people have about algorithms in social media, as well as working on the ethical issues associated with computational social science. Professor Hancock is well-known for his research on how people use deception with technology, from cybersecurity to sending texts and emails to writing fake reviews. His TED Talk on deception has been seen over 1 million times and he’s been featured as a guest on "CBS This Morning" for his expertise on social media. His research has been published in over 80 journal articles and conference proceedings and has been supported by funding from the U.S. National Science Foundation and the U.S. Department of Defense. His work on lying and technology has been frequently featured in the popular press, including the New York Times, CNN, NPR, CBS and the BBC. Professor Hancock worked for Canada Customs before earning his PhD in Psychology at Dalhousie University, Canada. He was a Professor of Information Science (and co-Chair) and Communication at Cornell prior to joining Stanford in 2015. He currently lives in Palo Alto with his wife and daughter, and in hockey he does his best to prevent pucks from hitting the mesh.